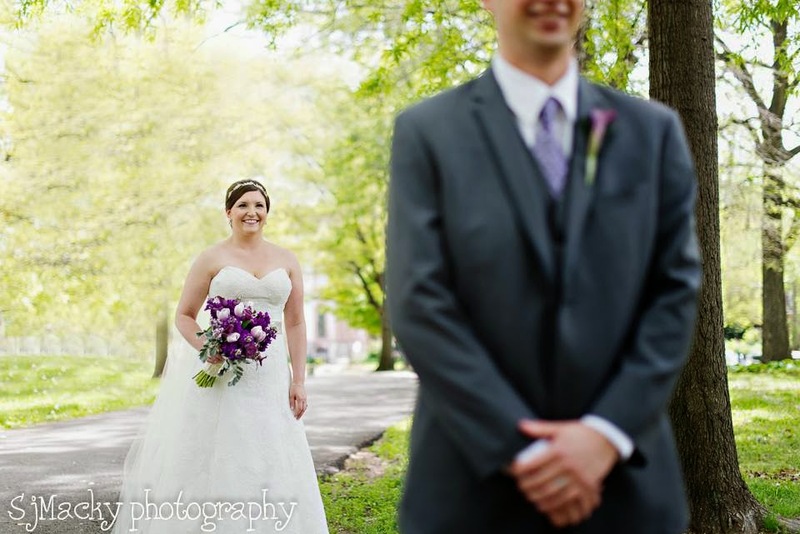 The spring-like weather has made us reminisce about our favorite spring weddings. Here is one from last May. 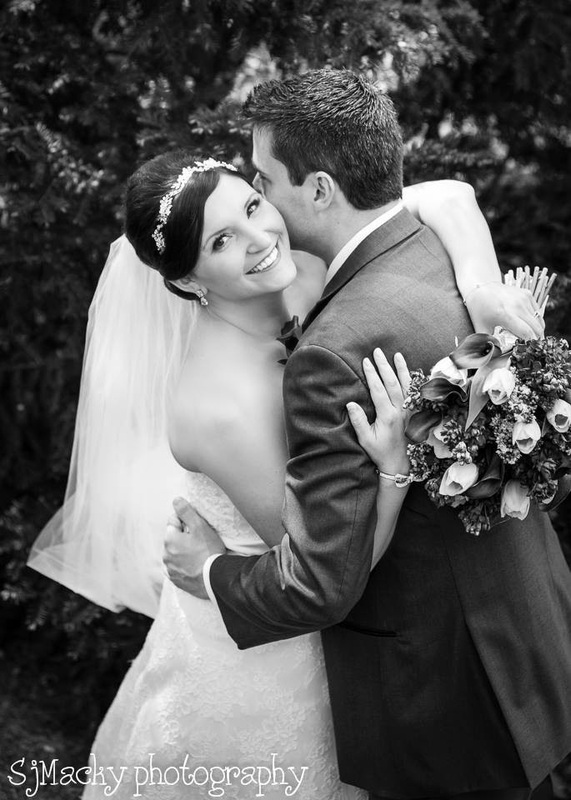 Patti and John enjoyed their wedding and reception at Moulin surrounded by family and friends. 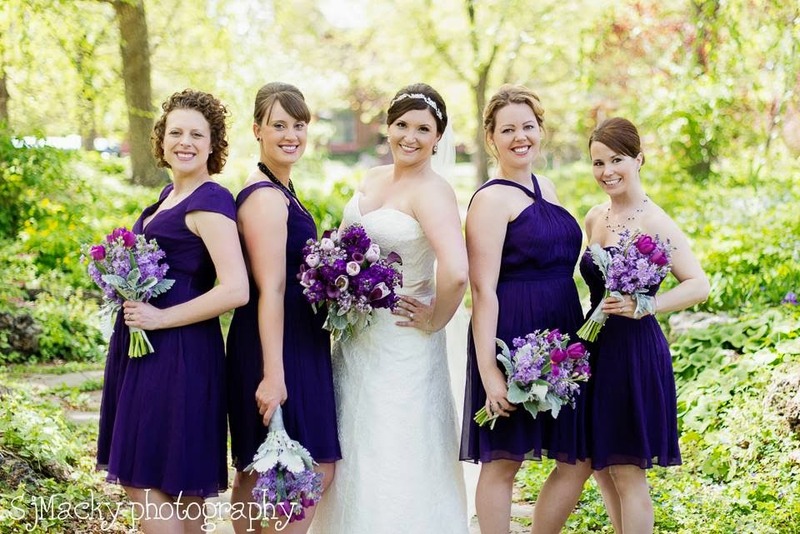 Not only is Patti a former wedding vendor that we have worked closely with, but she is also a friend of the Sisters team. 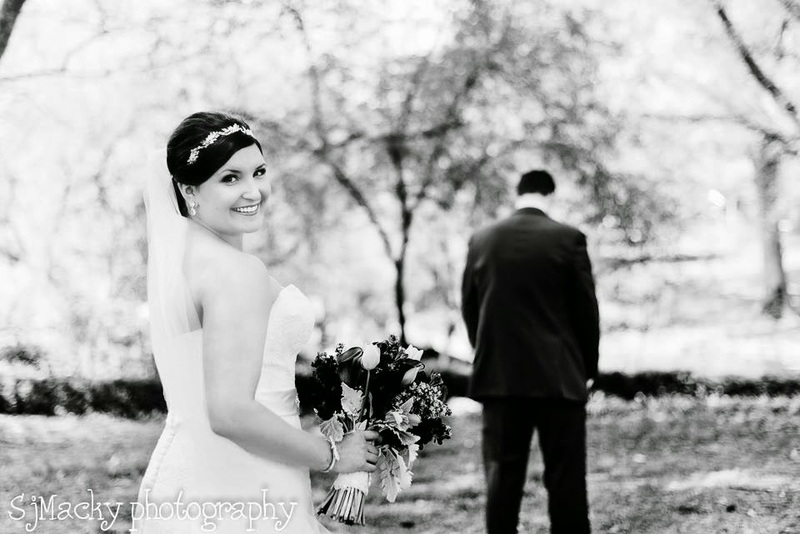 We were so honored to be a part of their day. 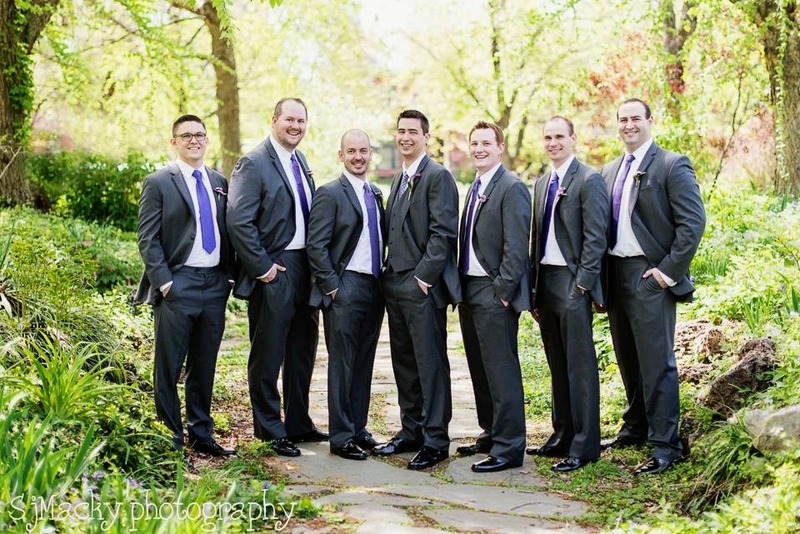 Here are some images by SJ Macky Photography. 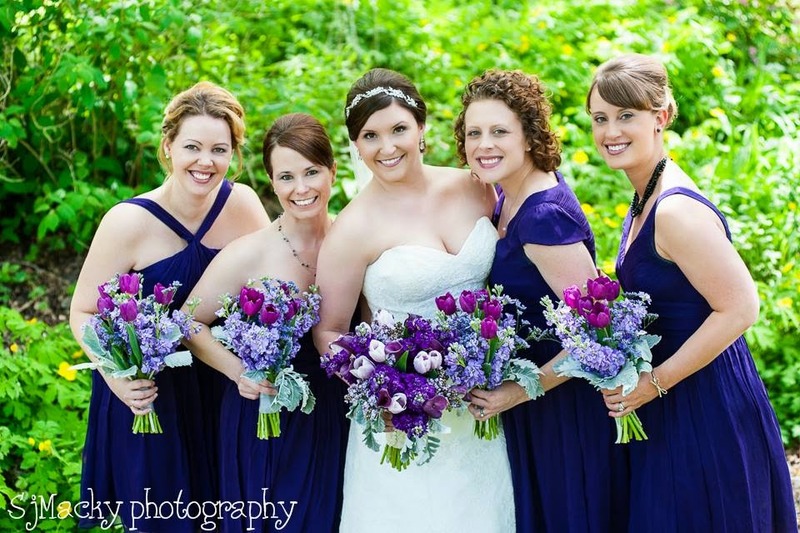 Shades of purple were used in all of the flowers for Patti and John. 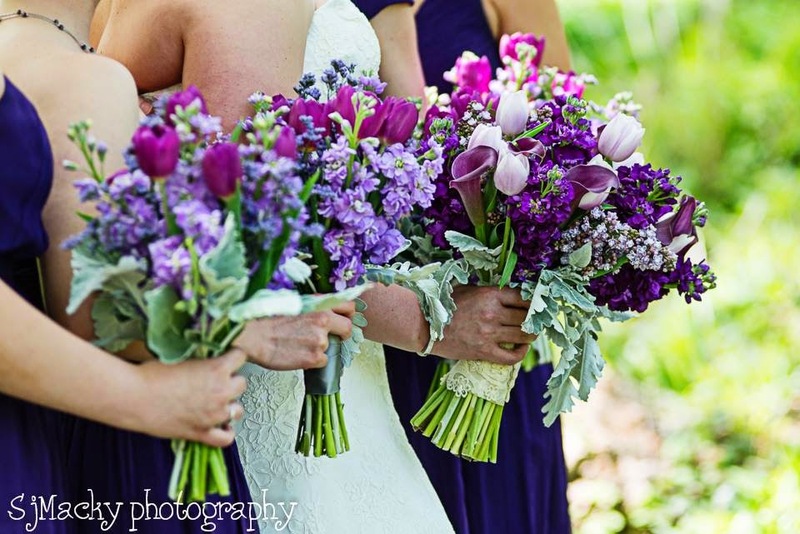 Loose and textured seasonal blooms including stock flower and tulips were mixed with silver dusty miller greenery. 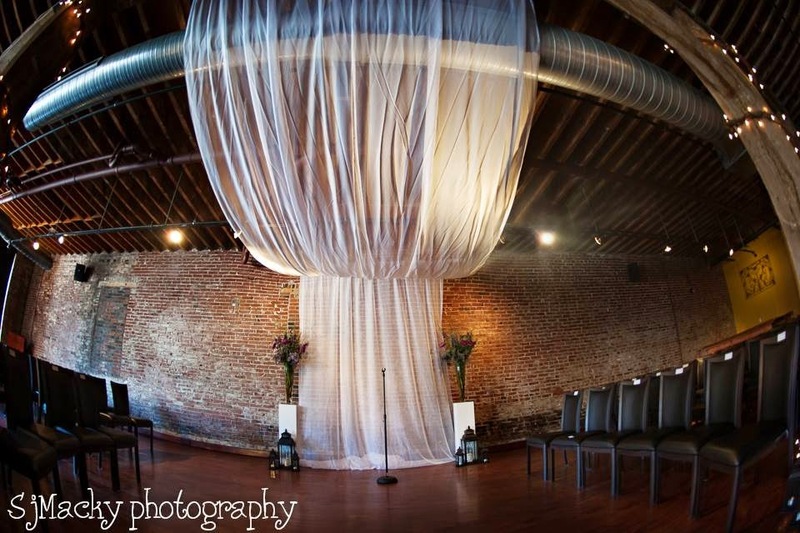 The ceremony was held in the Chouteau Room at Moulin. 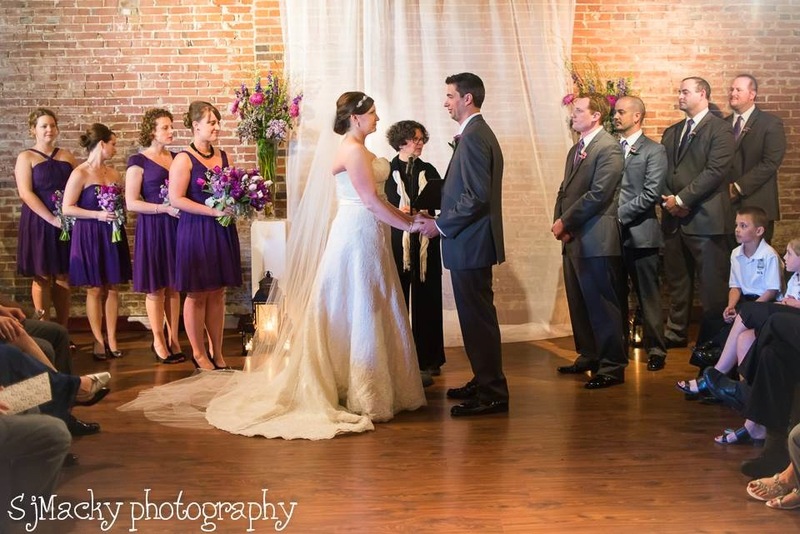 Fabric draping and tall flowers pieces framed Patti and John during their vows. 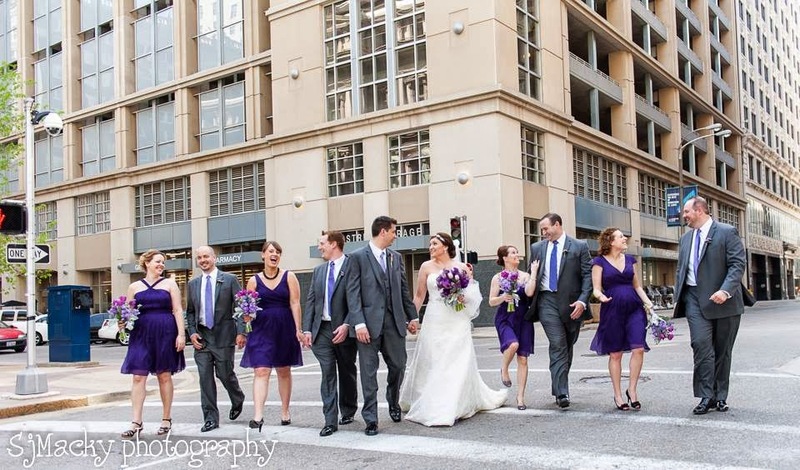 After the ceremony, the guests moved upstarts to the Centennial Ballroom for the reception. 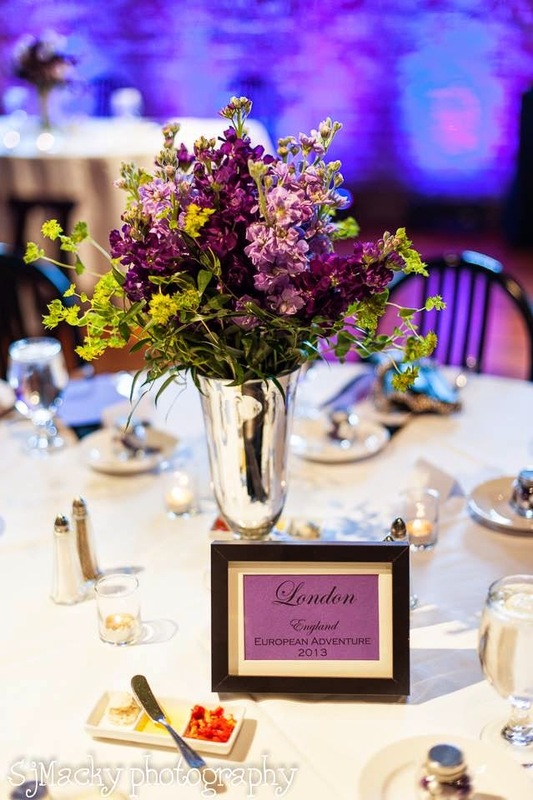 The tables were decorated in all lavenders and purples. 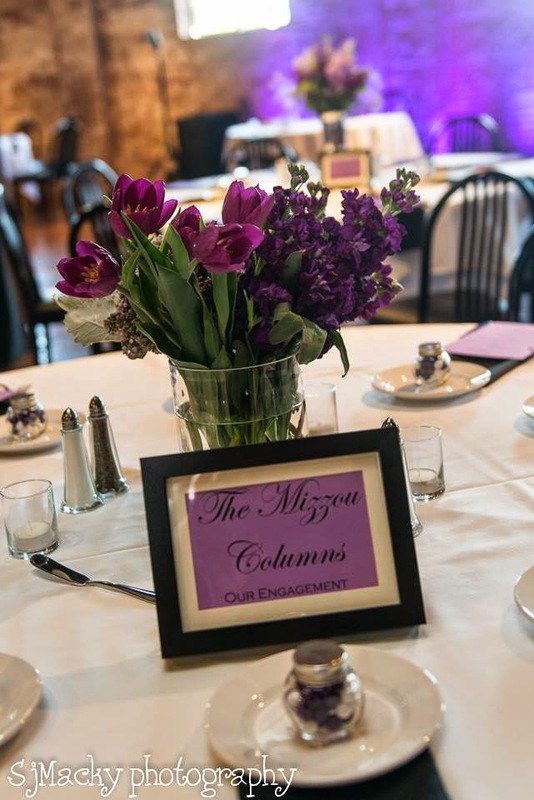 Two different centerpieces were used to give varying heights and designs to the tables. All our best to the bride and groom!! It was a pleasure!